A business’s reputation is often the first impression a consumer will use to decide whether or not to use your company’s service. Unfortunately, today’s businesses often suffer from negative feedback because it’s so readily available to the consumer via the internet. Seldom does a company successfully render a solution the negative evaluation. With ReputationPlan your company gains an entire team dedicated solely to the restoration and future of your reputation. 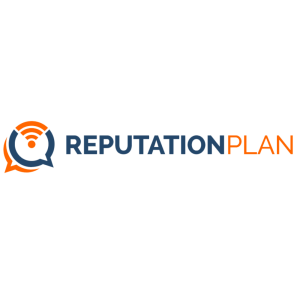 Whether it’s social media slander, negative ratings, inaccurate or adverse search results, ReputationPlan has a solution and we’re ready to develop a plan to get your business back on track and your reputation renewed. Online reputation management is comprised of two main components: creating the appearance you’d like to present, and making sure the right people can find it. As simple as it sounds, it’s often times difficult to execute. Appearance is the consumer’s first impression of your company. Consumers want to see that your site is updated regularly and its blogs and social media are maintained in a professional manner. ReputationPlan easily manages this as well as leveraging automatically generated listings or third-party sites, and generating press coverage when necessary. Don’t fuss over which pictures, videos, or other media your company should be posting, allow us to worry about that for you. Business can suffer if your company isn’t on the first or even second page of the search results. A search engine can produce hundreds of pages of results. Less than 10% of people go past the first page. ReputationPlan offers techniques to present important, significant, information to the top of the search, while forcing negative, inaccurate, or potentially misleading information to pages less likely to be seen. There’s plenty you can do on your own to begin managing your reputation. Create profiles on as many social media sites as you can reasonably manage (Twitter, Vine, Facebook, etc.). Claim profiles on pages that may have been created without your knowledge (e.g. sites like PeekYou and Google+ automatically create profiles with your information). Reputation.com provides a free scan to help with this.